The Rocky Mountaineer traveling along the N. Thompson River in British Columbia. 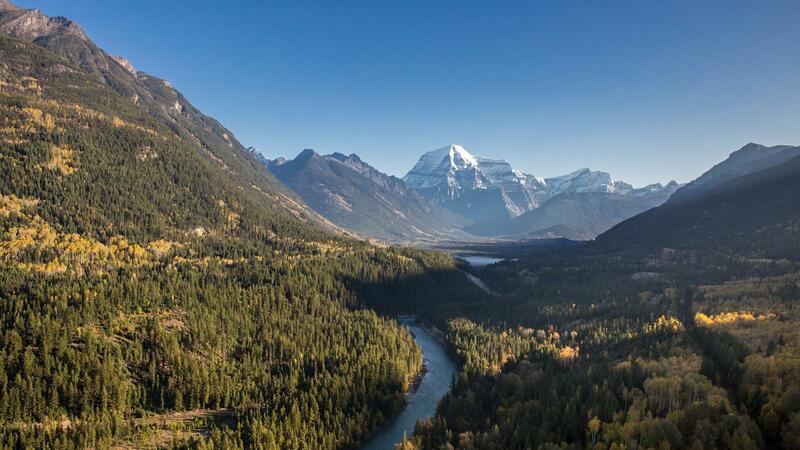 When the Canadian Pacific Railway unified Canada as a transcontinental country in the 1880s, passengers aboard the new rail lines were given unparalleled access to the spectacular Canadian Rockies. The rail lines of yore were used as a primary method of transportation and established Western Canada as not just a habitable region, but a highly sought-after area filled with natural wonder and unbelievable views. Today, people can travel on those same lines only aboard Rocky Mountaineer, a world-renowned, award-winning luxury tourist train service. 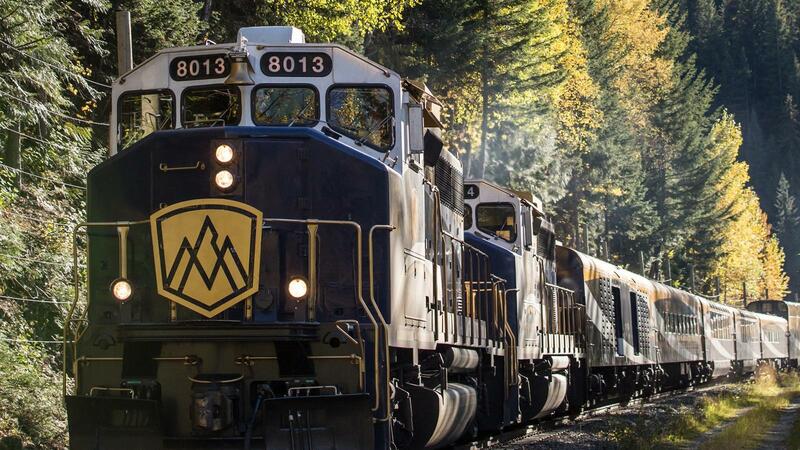 Rocky Mountaineer offers more than 65 vacation packages touring Western Canada and the Pacific Northwest. While the company itself is fairly young, having been launched in 1990, it has served nearly two million guests on its four routes. The Rocky Mountaineer GoldLeaf Service features bi-level glass dome coaches with a full-service dining room featuring locally-sourced, gourmet fare, and an observation deck on the lower level. The upper level treats travelers to magnificent panoramic views as the train glides through the splendor of the region’s mountain ranges. 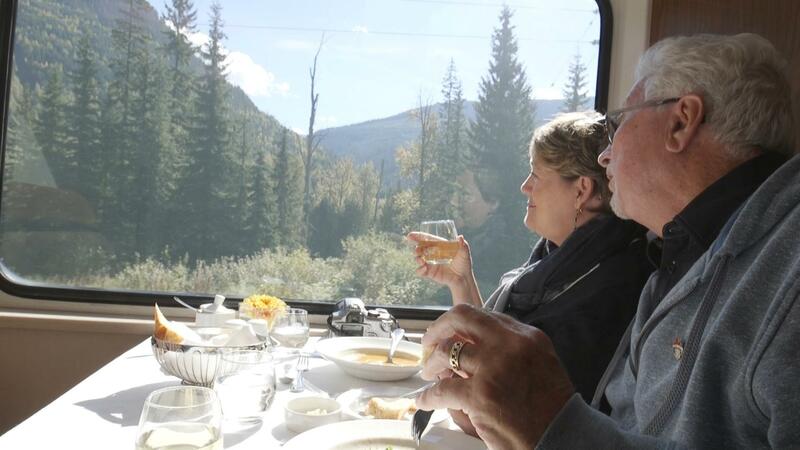 Between stunning views and savory meals, traveling aboard the Rocky Mountaineer is a highly sensory experience. Passengers not only see but taste the surrounding landscape as five-star chefs craft delicious meals with regionally-focused ingredients. Rocky Mountaineer President Steve Sammut refers to the “four Ss” passengers can look forward to on the train service. “They come on expecting the first S, which is the scenery,” Sammut said. 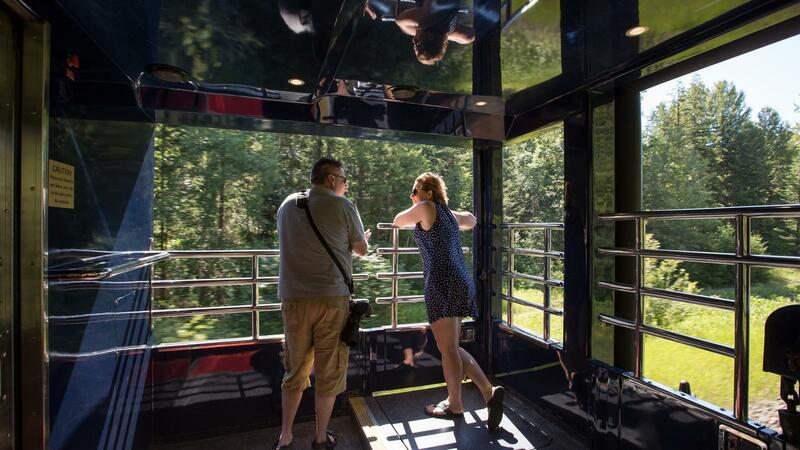 The Rocky Mountaineer takes full advantage of the scenery along its journey by operating only during the daytime. Guests then spend the evenings at hotels and various destinations along the way. 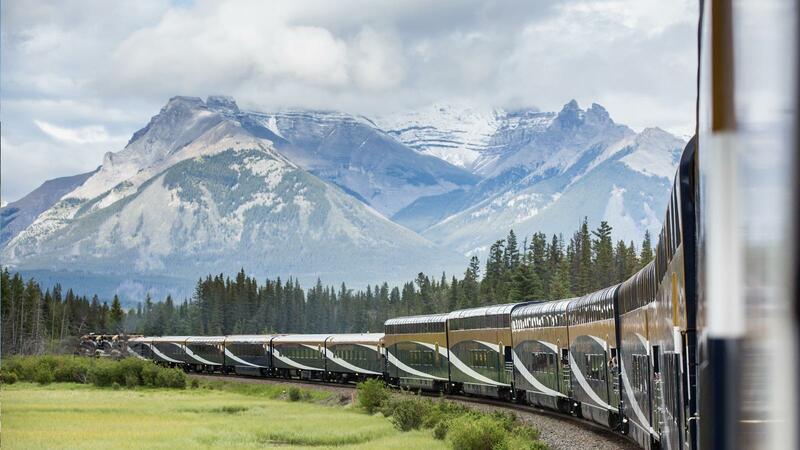 Along its journey, Rocky Mountaineer stops in some of Western Canada’s most awe-inspiring towns and cities, like Vancouver, Banff and Jasper. According to West Coast Railway Association President Emeritus Don Evans, these cities wouldn’t exist as they are today if not for the railway built over a century ago. Evans says the railway is the same now as it was during the colonialization of Western Canada. “It is the original route. It has not changed. 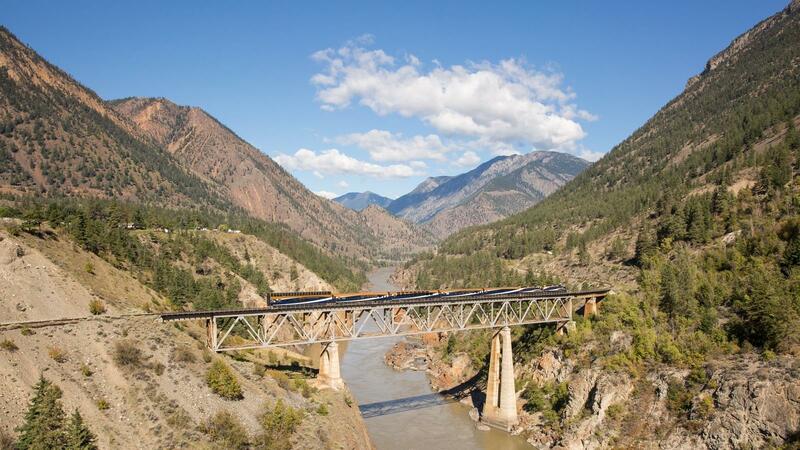 There’s been minor changes here and there as you go up in the Rockies, but the original route down the Fraser Canyon is that one that was built in the 1880s,” Evans said. 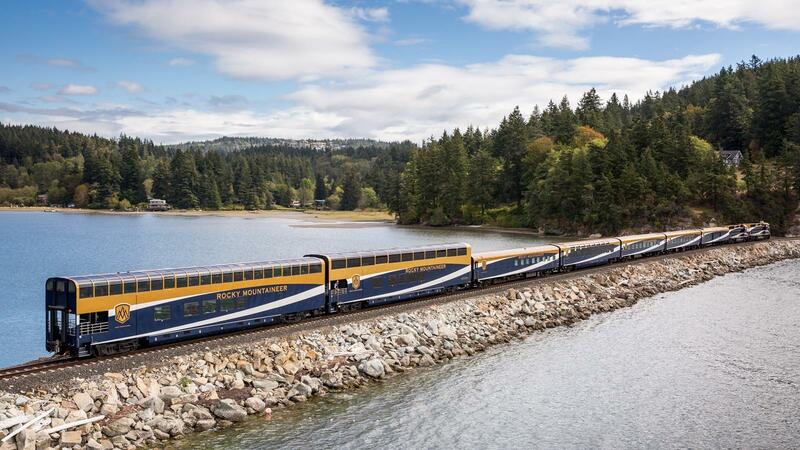 The Rocky Mountaineer traveling along Chuckanut Bay on the Coastal Passage route. The upper level treats travelers to magnificent panoramic views as the train glides through the splendor of the region’s mountain ranges. 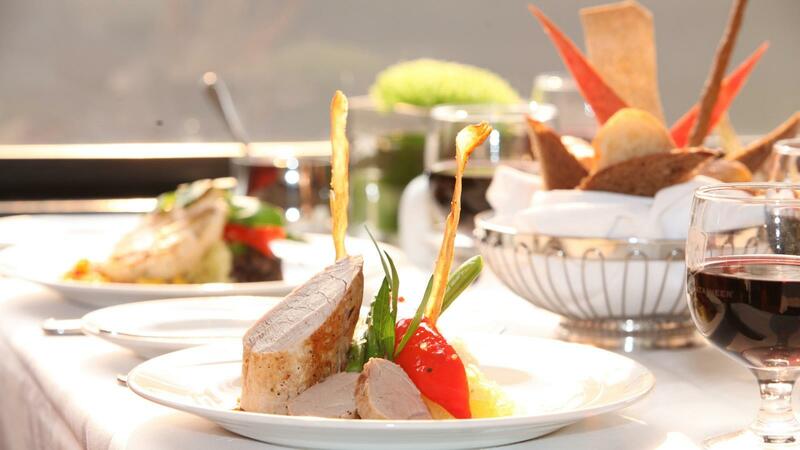 Alberta Pork Tenderloin, just one of the meals created by five-star chefs using regionally-focused ingredients. The Rocky Mountaineer traveling across the Fraser River on the Rainforest to Gold Rush route. 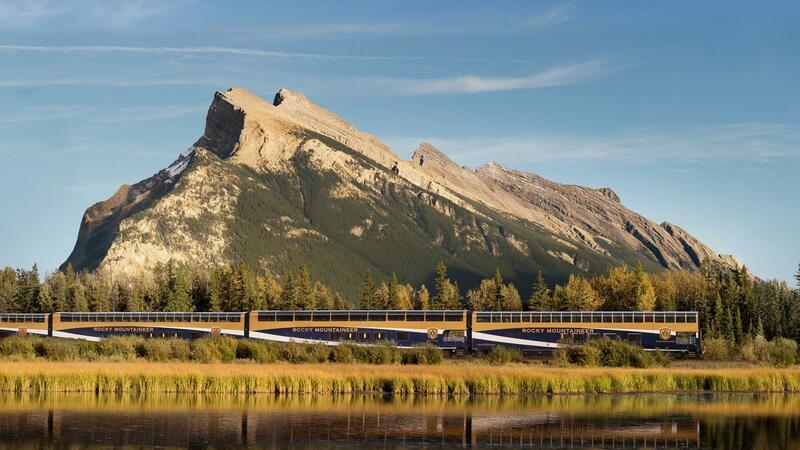 Between stunning views and savory meals, traveling aboard the Rocky Mountaineer is a highly sensory experience. 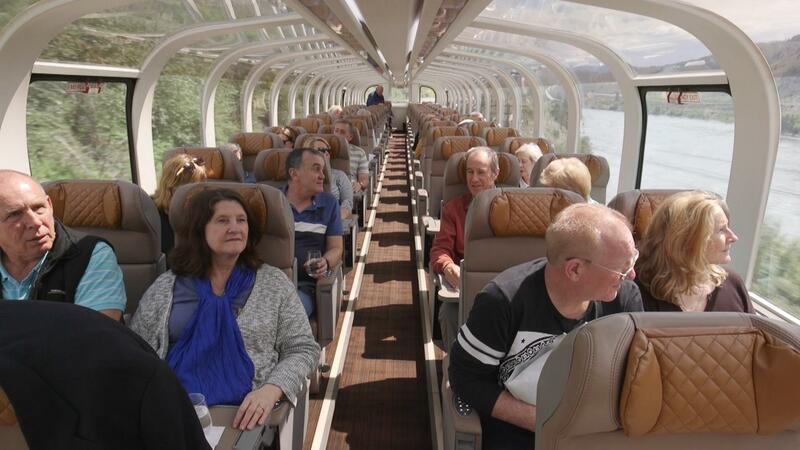 Passengers enjoy the snow-capped mountain views as the Rocky Mountaineer travels along the First Passage to the West. 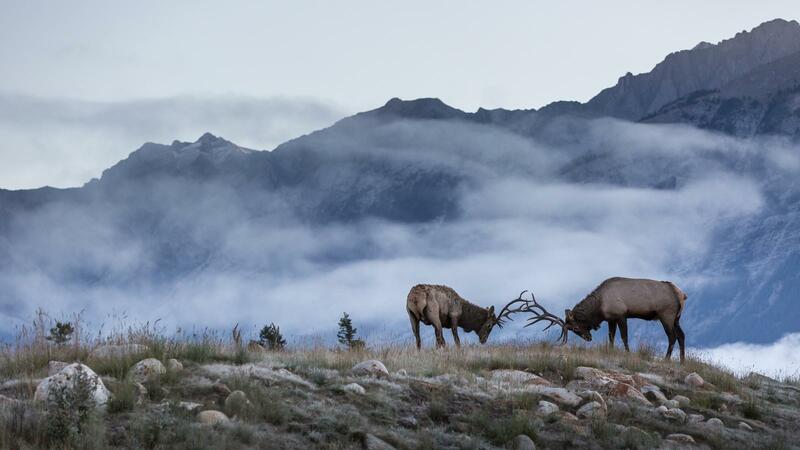 Majestic elk as seen on Journey through the Clouds. 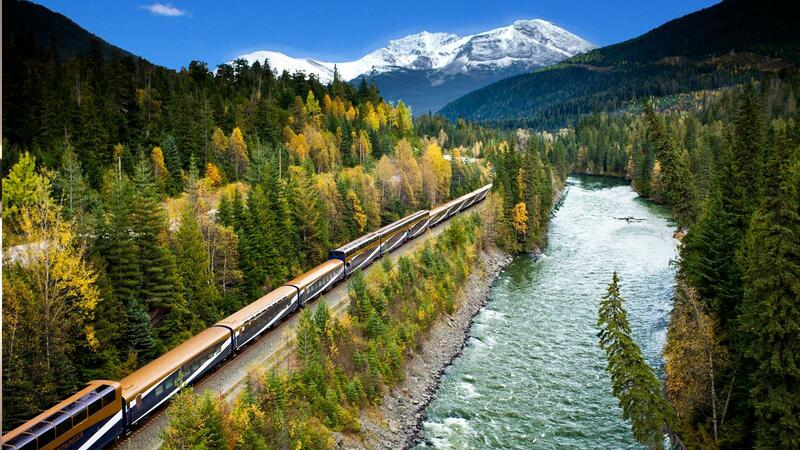 The Rocky Mountaineer has been called the one of the "World's Greatest Trips." Passengers enjoying the views from the GoldLeaf Service vestibule. Mount Robson in the distance on the Journey through the Clouds route. Rocky Mountaineer passing Vermillion Lakes near Banff.